Focusing on the anatomic concepts that speech-language pathology students must master, Atlas of Neuroanatomy for Communication Science and Disorders is a user-friendly guide to the neural basis of human communication and brain-based disorders. 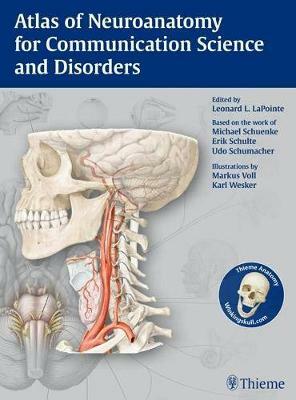 With this book, students will acquire a full understanding of the basic anatomy and physiology of human communication, the neural mechanisms controlling speech, language, cognition and swallowing functions, the anatomic underpinnings of speech/language disorders of the nervous system and related communication impairments, and much more! Edited by Dr. Leonard L. LaPointe, one of today's foremost teachers and practitioners in the field of speech-language pathology, this book offers a wealth of high-yield information for use in the classroom, exam preparation, and course review. It is essential for graduate and undergraduate students in speech-language pathology, audiology, and communication sciences, and will be a valued reference for any clinician working to understand the crucial connection between neuroanatomy and functional systems when treating patients with communication disorders.